The Boy Scouts of America places the greatest importance on creating the most secure environment possible for our youth members. To maintain such an environment, the BSA developed numerous procedural and leadership selection policies and provides parents and leaders with resources for the Cub Scout,Boy Scout, and Venturing programs. Visit the National Boy Scouts of America Website for more information. As leaders, parents and members of the Boy Scouts of America, we are all under mandatory reporting requirements. If someone suspects a youth is in danger, whether it's physical, emotional or other; we are required to report to local authorities immediately and follow that by calling the local Council office at 808-244-3724 to let us know a youth member may be in danger and allow us to take proper precautions. Report suspected abuse to the State Child Protective Services immediately using the appropriate number. Call the Council office at 808-244-3724 or go online toMyScouting.org to get Youth Protection Trained today! To take Youth Protection training go to My.Scouting.org and create an account. From the MyScouting.org portal, click on E-Learning and take the Youth Protection training. Upon completion, you may print a certificate of completion to submit with a volunteer application or submit the completion certificate to the unit leader for processing at the local council. When you witness or suspect any child has been abused or neglected—See "Mandatory Report of Child Abuse" below. When you witness a violation of the BSA's Youth Protection policies—See "Reporting Violations of BSA Youth Protection Policies" below. In cases of child abuse or medical emergencies, call 911 immediately. In addition, if the suspected abuse is in the Scout's home or family, you are required to contact the local child abuse hotline. If you think any of the BSA's Youth Protection policies have been violated, including those described within Scouting's Barriers to Abuse, you must notify your local council Scout executive or his/her designee so appropriate action can be taken for the safety of our Scouts. Two-deep leadership is required on all outings. Two registered adult leaders or one registered leader and a parent of a participant, or other adult, one of whom must be 21 years of age or older, are required on all trips and outings. The chartered organization is responsible for ensuring that sufficient leadership is provided for all Scouting activities. There are a few instances, such as patrol activities, when the presence of adult leaders is not required and adult leadership may be limited to training and guidance of the patrol leadership. With the proper training, guidance, and approval by the troop leaders, the patrol can conduct day hikes and service projects. Appropriate adult leadership must be present for all overnight Scouting activities; coed overnight activities—even those including parent and child—require male and female adult leaders, both of whom must be 21 years of age or older, and one of whom must be a registered member of the BSA. 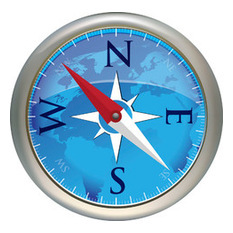 The chartered organization is responsible for ensuring that sufficient leadership is provided for all activities. One-on-one contact between adults and Scouts is prohibited. In situations that require personal conferences, such as a Scoutmaster's conference, the meeting is to be conducted in view of other adults and youths. Separate accommodations for adults and Scouts are required. When camping, no youth is permitted to sleep in the tent of an adult other than his or her own parent or guardian. Councils are strongly encouraged to have separate shower and latrine facilities for females. When separate facilities are not available, separate times for male and female use should be scheduled and posted for showers. Likewise, youth and adults must shower at different times. Privacy of youth is respected. Adult leaders must respect the privacy of youth members in situations such as changing clothes and taking showers at camp, intruding only to the extent that health and safety require. Adults must protect their own privacy in similar situations. Inappropriate use of cameras, imaging, and digital devices is prohibited. While most campers and leaders use cameras and other imaging devices responsibly, it has become very easy to invade the privacy of individuals. It is inappropriate to use any device capable of recording or transmitting visual images in shower houses, restrooms, or other areas where privacy is expected by participants. No secret organizations. The Boy Scouts of America does not allow any secret organizations as part of its program. 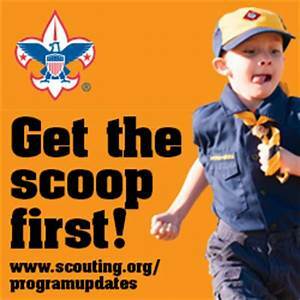 All aspects of the Scouting program are open to observation by parents and leaders. Youth leadership is monitored by adult leaders. Adult leaders must monitor and guide the leadership techniques used by youth leaders and ensure that BSA policies are followed. Appropriate attire for all activities. Proper clothing for activities is required. For example, skinny-dipping or revealing bathing suits are not appropriate as part of Scouting. Members are responsible to act according to the Scout Oath and Scout Law. All members of the Boy Scouts of America are expected to conduct themselves in accordance with the principles set forth in the Scout Oath and Scout Law. Physical violence, theft, verbal insults, drugs, and alcohol have no place in the Scouting program and may result in the revocation of a Scout’s membership. Units are responsible to enforce Youth Protection policies. The head of the chartered organization or chartered organization representative and the local council must approve the registration of the unit’s adult leader. Adult leaders of Scouting units are responsible for monitoring the behavior of youth members and interceding when necessary. Parents of members who misbehave should be informed and asked for assistance. Any violations of the BSA’s Youth Protection policies must immediately be reported to the Scout executive. A key ingredient for a safe and healthy Scouting experience is the respect for privacy. 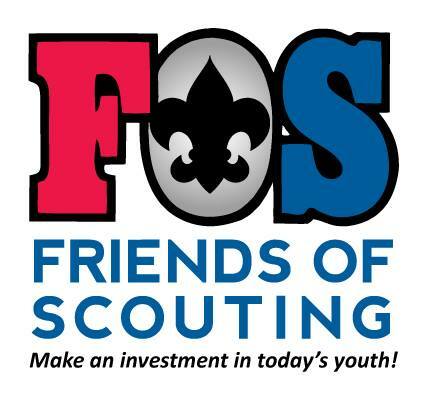 Advances in technology are enabling new forms of social interaction that extend beyond the appropriate use of cameras or recording devices (see “Scouting's Barriers to Abuse”). Sending sexually explicit photographs or videos electronically or “sexting” by cell phones is a form of texting being practiced primarily by young adults and children as young as middle-school age. Sexting is neither safe, nor private, nor an approved form of communication and can lead to severe legal consequences for the sender and the receiver. Although most campers and leaders use digital devices responsibly, educating them about the appropriate use of cell phones and cameras would be a good safety and privacy measure. Video Facilitator Guides. A sample letter to parents and guardians as well as English and Spanish meeting guides for facilitators' use when showing the age-appropriate sexual abuse prevention video. Video Facilitator Guides. English and Spanish meeting guides for facilitators' use when showing the age-appropriate sexual abuse prevention video.